This section is intended to get Pylons up and running as fast as possible and provide a quick overview of the project. Links are provided throughout to encourage exploration of the various aspects of Pylons. To avoid conflicts with system-installed Python libraries, Pylons comes with a boot-strap Python script that sets up a “virtual” Python environment. Pylons will then be installed under the virtual environment. virtualenv is a useful tool to create isolated Python environments. In addition to isolating packages from possible system conflicts, it makes it easy to install Python libraries using easy_install without dumping lots of packages into the system-wide Python. 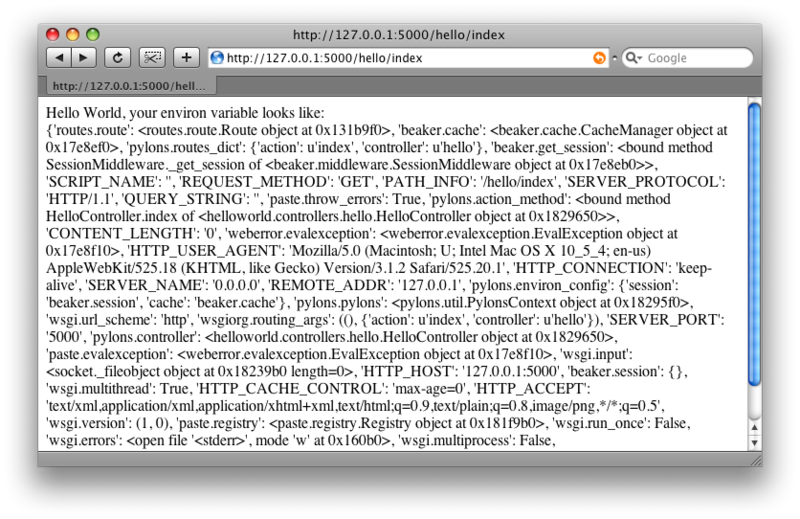 This will leave a functional virtualenv and Pylons installation. during the install. It is likely that your Python installation is missing standard libraries needed to run Pylons. Debian and other systems using debian packages most frequently encounter this, make sure to install the python-dev packages and python-hashlib packages. Mercurial must be installed to retrieve the latest development source for Pylons. Mercurial packages are also available for Windows, MacOSX, and other OS’s. The active version of Pylons is now the copy in this directory, and changes made there will be reflected for Pylons apps running. Windows users must configure their PATH as described in Windows Notes, otherwise they must specify the full path to the paster command (including the virtual environment bin directory). Hit enter at each prompt to accept the defaults (Mako templating, no SQLAlchemy). The command loads the project’s server configuration file in development.ini and serves the Pylons application. The --reload option ensures that the server is automatically reloaded if changes are made to Python files or the development.ini config file. This is very useful during development. To stop the server press Ctrl+c or the platform’s equivalent. The paster serve command can be run anywhere, as long as the development.ini path is properly specified. Generally during development it’s run in the root directory of the project. 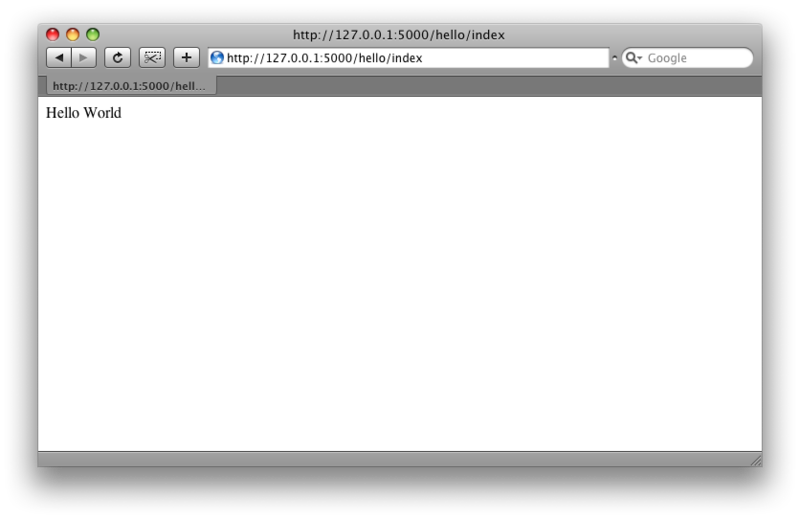 Visiting http://127.0.0.1:5000/ when the server is running will show the welcome page. At the top of the module, some commonly used objects are imported automatically. URL Configuration explains how URL’s get mapped to controllers and their methods. Add a template to render some of the information that’s in the environ. The request variable in templates is used to get information about the current request. Template globals lists all the variables Pylons makes available for use in templates.